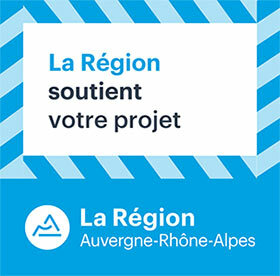 This website is the property of SARL BEL ABRI, a French company with a capital of € 74,000, whose registered office is at 5 Avenue Chavoires 74940 Annecy (Phone: 04 50 23 10 10) and of which the principal place of business at the same address; registered with the RCS Annecy under number B 1126 351 685. The publishing director is Gerard Falconnet. Owner: Le Bel Abri • 5 avenue de chavoires 74940 Annecy le Vieux – France. Hosting: OVH SAS – 2 rue Kellermann – 59100 Roubaix – France. This website is managed by Le Bel Abri. The information on this site are not binding and are only offered for information purposes only. Despite careful drafting of the information published on these pages, Le Bel Abri can not guarantee the accuracy, quality, updating or completeness. Legal actions against Le Bel Abri, which refer to material or immaterial nature of the damage caused by the use or non-use of information or the use of incorrect and incomplete information are basically excluded, provided that ‘there is from Bel Abri no intentional or gross negligence. All offers are non-binding. The Bel Abri expressly reserves the right to modify, supplement or delete parts or all of the offer, or to suspend the publication temporarily or permanently without notice. The Bel Abri checks for illegal content accepting links or references appearing on its site. However, as Le Bel Abri has no influence on the evolution of the design of the sites to which the links point to its own website, the company can not accept any responsibility for the contents of these sites. If Bel Abri must have knowledge of illegal content on the linked pages / referenced, these links are removed from the company website. The same principle applies to third party entries in guest books, discussion forums and mailing lists open by the Bel Abri. In all its publications, Le Bel Abri strives to respect the copyrights of graphics, sound files, video sequences and operated texts, to use its own graphics, sound files, video sequences and texts or to have use of graphics, sound files, video sequences and texts in the public domain. All trademarks and brands mentioned within the Internet offer and possibly protected by third parties are subject without restriction to the applicable provisions of trademark law and the ownership rights of their respective registered owners. A brand quoted without qualification does not mean it is not protected by the rights of third parties. The copyright for published objects created by the Bel Abri remains the exclusive property of the Bel Abri. Any reproduction or use of graphics, sound files, video sequences and texts in other electronic or printed publications without the prior permission of Le Bel Abri. If the Internet offer includes the possibility to enter personal or business data (email addresses, names, addresses), these data can not be disclosed without the express consent of the user. If parts or individual formulations of this disclaimer should be null and void, the other parts would remain valid; to the extent possible, the part nullity will be interpreted by the Contracting Parties in order to stay as close as possible to the original purpose of formulating void.